Dèesse Magazine: Radiant Summer Skin ... From the Inside Out ! 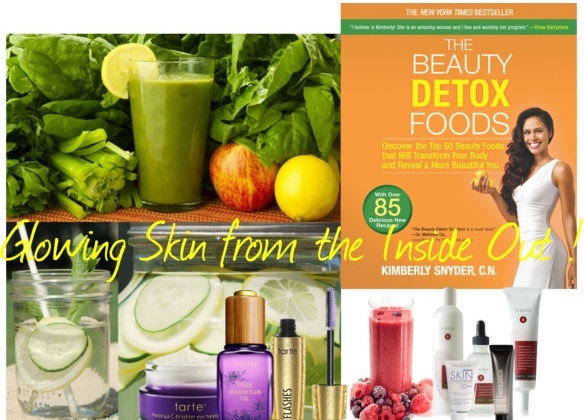 Radiant Summer Skin ... From the Inside Out ! Get glowing radiant skin with these key products / routines !!! 2. Previse 3 minute Skin Health - this process is awesome ! You take a mini survey/ quiz of sorts on their website to figure out what skin you are ( I am a type 6) . Upon completion, you are directed to the products appropriate to your type - three step system includes 1- Purify ( a cleanser) 2 - Nutrify ( a nourishing liquid formula which fights free radicals amongst other pollutants) and last but not least 3 - Defend ( a moisturizer). I really love this moisturizer I have to add ! On days when I am au naturale and makeup-free it really does the trick! I had so many questions before starting the Previse journey and this company is beyond amazing with their customer service as well as informative on other healthy tips on living ( I learned about a fun combination for infused water aptly named "Sassy Water" pictured, above- on their blog) . Using the Previse system I was still able to use other products in conjunction ( see 3. Below) . I noticed a change in my skins texture and their Sunscreen ( not pictured above, ) is amazing as well. I highly recommend PreviseCare to everyone ! 3. Tarte Cosmetics Maracuja C- brightener eye treatment , Pure Maracuja Oil - I use the Pure Maracuja oil at night and even in conjunction with the Previse system ( swapped out step 3 at night for the oil). This oil does everything it intends to - my skin appeared brighter, less breakouts, tighter and firmer. I am getting sad as its been a few months so my supply is low and soon I will have to re-stock ! I can not imagine NOT using this in my nightly regimen. I have become so committed, even after a night of partying I will make sure to apply this magic in a bottle. That's exactly what it is ! I've been a Tarte fan for years and with time the products have only gotten better and even more natural than before. This oil is an Investment! Also, the C-brightener eye treatment is a must ( if you have dark circles , or you feel your skin around the delicate eye area appears tired and dull) ! I would suggest to use this day and night - before makeup application / in use with the Pure Maracuja Oil. 4. Miracle Skin Transformer Acne Control Tinted Skin Enhancer - This formula comes in transparent or tinted options. Which is great if you want a bit of coverage. I used this in "Dark" as a base before applying the rest of my products. This evened out my skin tone instantly ( could be used as a full coverage option) , and it helps prevent / treat acne ( a problem which may occur more during the warmer months with all the heat and sweating which leads to breakouts). What I loved is that I prematurely popped a white head weeks ago and had an unsightly mark on my forehead and this covered it nicely! No need to spot treat the area with concealer. If tinted is not your thing the original formula ( pictured, above) works well too! 5. Smashbox Photo Matte Anti Shine - I am guilty of having the skin that SHINES like nobody's business ! This is perfect for use to get the clean , crisp matte look . The temperatures are already rising... I don't need to be s disco ball as well, and luckily cosmetic companies are creating great products (like this) to help battle this issue. We might want to show more skin for the summer, but what we NEVER want to show are our pores! 6. Tarte Cosmetics Lights, Camera, Flashes Statement Mascara - Mascara goes a long way. Even if that's all you apply ( in terms of makeup) with some lip balm this is the perfect option. This updated re-vamped version to the cult favorite "lights, camera, lashes" - provides up to 752% increase in lash volume instantly!!!! Need I say more ? If you noticed the route I took with this Summer Skin breakdown it was nature .. Using products made of the best naturally derived ingredients as well as eating the right foods ( to treat from within) and of course plenty of H20 , is all we really need to have radiant naturally glowing summer skin ! Slice and prepare ingredients. Place in the bottom of a pitcher. Add water. Chill overnight for at least 8 hours. Enjoy! Have a happy Summer and may you have a natural radiant glow! !